Would You Like To Add A Matching Photo Frame? 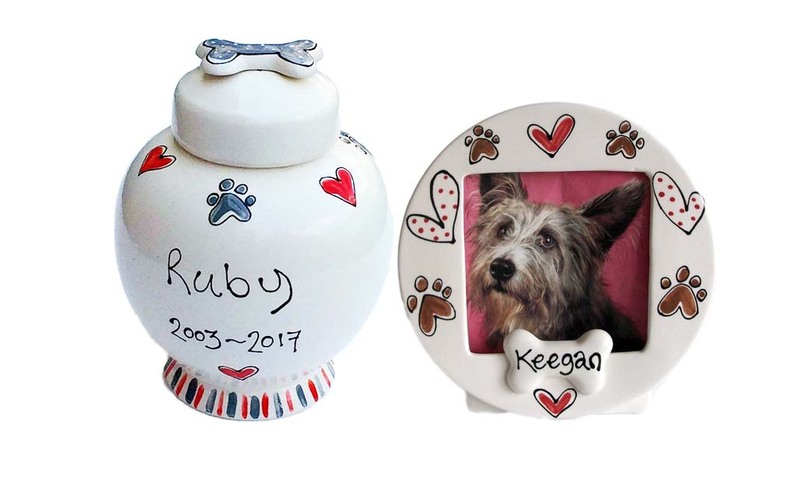 This beautifully hand painted urn makes a lovely resting place for your dog or cat's ashes. Reverential yet joyful , the perfect reflection of your pet and your life together. This urn is large enough to carry the ashes of up to a 25kg dog. Add your pets name, years of life and a short message if you like to the urn to make it truly personal. Please allow up to 14 working days for your urn to be made and shipped.